I had two uncles that worked at Timken bearing in Canton Ohio. One was a die maker the other worked in the grinding room for the big bearings. When I say big some went into the steel rolling mills to hot rolled steel. You could sit inside the bearings. The only grinder in the plant that could hold tolerance on them was made about 1920. The new grinders just could not do it. When we were in tech school out teacher made us make our hand tools perfect pretty much. We learned how to hand lap the last few millionths of an inch off. No machine can hold tolerance a human can. Our 6" angle plate had to be within .0001" of square. Our grinder vice had to be able to hold a .1001" joe block on one side of the vise jaw and be tight enough to pick the vise up and you still be able to slide a .1000" joe block in the other side. So less than .00005" slop in the slide. The best machines I ever ran were Moore Jig Bore and Moore Jig Grinder. You received an inspection report on the full travel of the table and spindle and it was all within 10 millionths of an inch. All of the final work was done by hand. Hand scraping of the table and hand lapping of the ways and lead screws. I did not get to go to the factory for training but couple that did said that only a couple people could be in some areas at a time the body heat would make it impossible to hold the tolerances if too many people were in the room. I use to have to build dies that cut silver leaf almost. Components that went in reed relays that had to live for 100,000,000 actuation's in testing. The clearance between the punch and die was .0001" per side. The silver coil stock was kept in bank vault down the road from the shop. Was a compound die so it blanked, pierced two .040" dia. holes and formed one end of the part all in one stroke. We had to build our own die sets on the Moore Jig grinder. That company, Eaton Cutler Hammer, was one that headed to Mexico when the doors opened back in the 80's. They failed and could not keep anything going. Crashed all the tooling and I think pretty much ended Cutler Hammer in that market. On the war effort. Henry Kaiser of Henry J fame built freighter ships during WWII. He came up with a process that he could build them faster than the U boats could sink them Could put a freighter together in 7 days if I recall right. Google it is amazing. Built in sections and brought together at yard and welded together and gone. While I was not initially trained as a machinist, I'm a Silversmith and product designer, but as I progressed through life's changes, machining and mold making became necessary trades as well as becoming a "Prototype Specialist - Automotive". The final "change" in my life found me working in a machine shop where most of the equipment was from WWII or before. The OD grinders and a couple of big lathes are still in daily use. The CNC's are only between 10 to 25 years old and are SHOT!! Can't beat old time craftsmanship! Ooooow!! I remember you telling me about dropping the PS box on your foot. 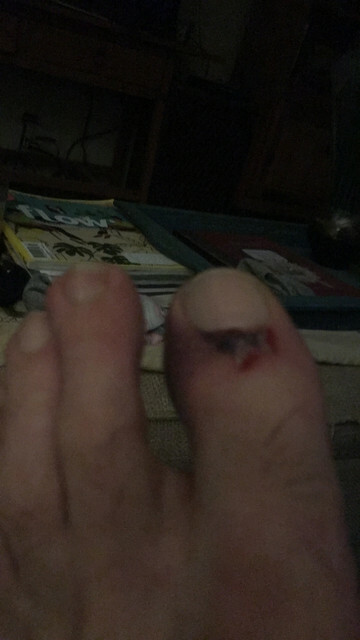 Even steel toe caps might not have stopped that, but safety first in future I guess. Ouch, I'll bet you created some new cuss words when that happened. (10-27-2018, 12:25 AM)secluff Wrote: Geoff, good detective work. Most of these type parts were discontinued in the early 80's. With Ford's reman parts division adding components such as steering gears, pumps, alternators, etc sales of these type of repair parts fell to the point the were discontinued to the dealer and only available to Ford's reman division . 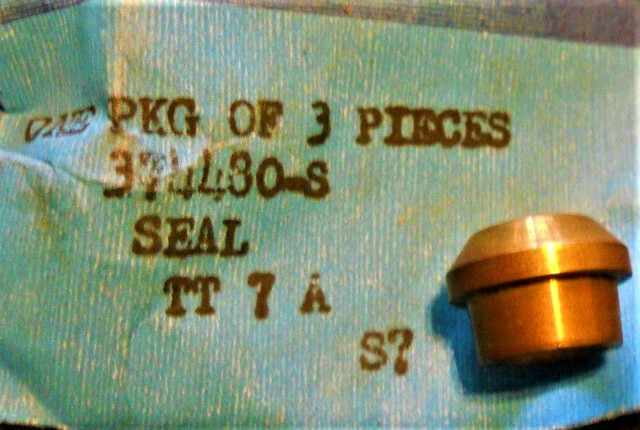 The part number for the reman only parts added a "MR". So C5AZ-3647-C became C5AZ-3647-CMR. Sorta like the non-existent distributor shaft bushings that only the rebuilders seem to have and guard like gold! There is also a C5AZ-3647-B @ .28117 dia. The catalog lists the 22 piece ball kit for PS Saginaw gears SPA- S, T, U and V for 65-69 full size Ford and 71/ Mustang. If your variable ratio box has 24, there could be a catalog error. The C5AZ-3647-X you see is a replacement for C5AZ-3647-A which is a 62 piece kit @ .25" dia which is listed for the 61-64 Thunderbird only. Steve, I have a request. Can you find the part numbers for the inlet and outlet brass seats for the Saginaw 800 box? I may as well order whatever I can find at the same time. Dennis Carpenter only has the C5AZ-3647-X ball set, but still no idea exactly what size they are. I asked, but no response. Geoff, I don't have a lot of pre 1965 info. The 61-64 T-Bird only part (C5AZ-3647-A R/B C5AZ-X) evidently picked up the 1965 level part number when the 60-64 MPC received it's final revision in 1969. The only size related number I see for the "X" ball is .25" diameter. The inlet (pressure) and outlet (return) brass seats have Ford hardware numbers and not the typical Ford formatted part number. If you have a favorite parts supplier you may want to check with them. I have have used Green Sales (1-800-543-4959) a few times and they show stock on the 374480-S. The 374309-S I have seen on E-Bay and is still available from Ford. So you may want to check with your local Ford dealer to see what he has. I believe Canadian dealers may be on a different parts locator system from the US dealers so I cannot verify what they may have. Let me know if you have any problems with the numbers. (10-29-2018, 05:03 PM)secluff Wrote: Geoff, I don't have a lot of pre 1965 info. The 61-64 T-Bird only part (C5AZ-3647-A R/B C5AZ-X) evidently picked up the 1965 level part number when the 60-64 MPC received it's final revision in 1969. The only size related number I see for the "X" ball is .25" diameter. Love all the talk of old airplanes. The "Mid-Atlantic Air Museum" is only minutes from my house, and they have dozens of aircraft on display from the 20's through the 80's, including a B-25 and a P-61. I thought they also had a B-17 but that might fly in for special occasions. This is just outside the grounds of the Reading (PA) airport, which used to host one of the largest air shows in the US. Now they have a large WWII weekend in June which attracts many thousands of visitors. On that weekend I will have aircraft such as B-17, B-25, P-51, and even a B-29 (Fifi) flying directly over my house at low altitudes. There's no mistaking the sound of those old radial engines. Geoff, all the info I have comes back to the same seat numbers. I checked the applications on some other cars I owned that had a Saginaw gear (three Gran Torino Sports and a 79 XR-7 Cougar). All came back to the same part numbers. The link DonC posted looks good as the seats appear to include a installation tool. You could also try contacting that company and ask about the 24 spool balls and see if you get the "Deer in the Headlights look" and hear crickets chirping.